This has been posted here but I thought that the denizens of this board might like to see it too. Thanks for the link Mike! After viewing several videos of the Magnet in different color combinations, my interested peeked a lot and I'll probably be building one some time in the future! Just need some brass rod for the ballast and the yoyo stops. 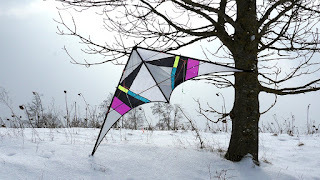 Liked the look of this kite from the first post by David . Looking forward to flying it. Thanks for making the plans available David. 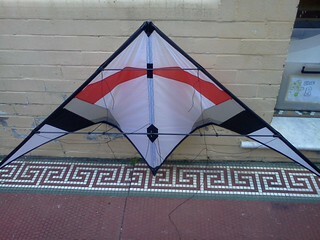 that is a good looking kite. like your Magnet. Still waiting for the weather to come good so I can fly mine. Way too much breeze and rain as a bonus. Thanks to David Rüger for sharing his magnet with us. I tried to keep this Magnet true to the original plans but I did use Air600 for the sail and because bisonyl is hard to get here I used 600D polyester with a vinyl backing for the nose. The tail arrangement was a first for me and David was kind enough to clarify my questions so I hope I got it right in the end, here's some close ups. The plans recommend a 17gram tail weight so I glued a 13gram brass rod inside the spine and made up the extra 4grams with an external brass tube the idea being that I could experiment with the tail weight. And the Magnet in flight. Looks great in the air Mat. 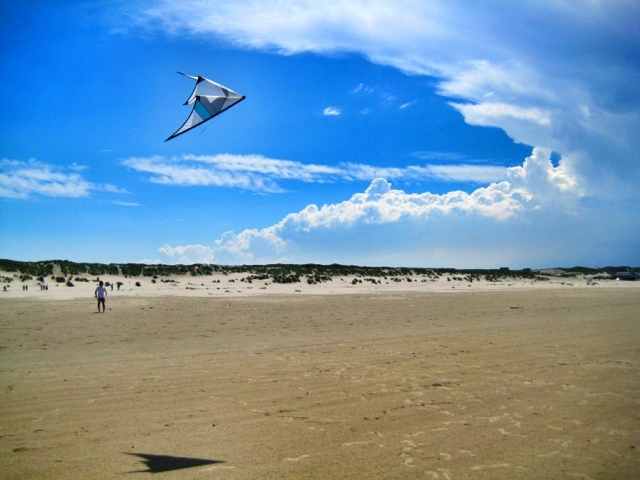 Nice kite! Yep, nice one! Any thoughts on flight behaviour? It is quitte different compared to other trickkites IMHO. So much fun. Have to fly mine again soon! Will be heading here for a few days in april. Can't wait. Two of the best looking Magnets out there. The Magnet quite enjoyable to fly the inputs need to be limited as you would expect of a kite of this size but have flown kites of this size that are a lot more sensitive, the wind range was a surprise you could almost call it a UL yet it's happy in 20+ kph. One word of advice when building don't glue the LE ferrule in the uLE glue it on the lLE. The lower APA-connector sits on the very bottom end of the uLE and if you glue the ferrule on the uLE it extends past the cut out in the LE for the lower APA so the lower APA must be fitted on the uLE when installing it into the kite. If you glue the ferrule on the lLE you can fit the uLE with just the top APA connector installed and slide on the lower APA after the uLE is in the kite much easier. There is a review on the "Clique" and another round up on FA.